Summer means strawberries, and plenty of them! 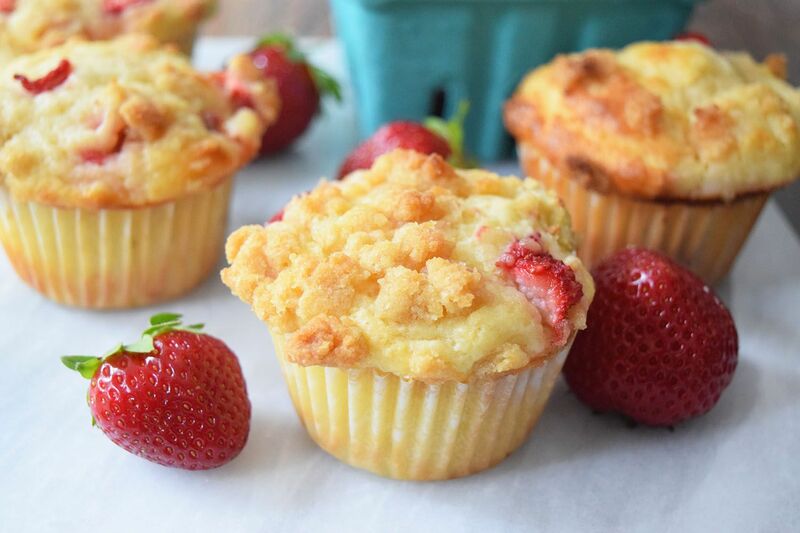 Strawberry Rhubarb Streusel Muffins, Strawberry Pop Tarts, and Berry Breakfast Pizzas are just some of the delicious ways you can serve up strawberries for breakfast! These Strawberry Rhubarb muffins are warm, sweet, and topped with a nice crunchy streusel. They are the perfect make ahead strawberry breakfast! Fresh strawberries are a must! Take advantage of everything the strawberry season has to offer! Forget cold leftover pizza for breakfast and whip up this delicious fresh berry breakfast pizza instead! A nice cream cheese spread, fresh berries, and a toasted pita make for an extremely easy and scrumptious pizza breakfast. Everyone's childhood favorite is now all grown up! When you make these strawberry pop tarts from scratch, they instantly become healthier... right? Strawberry shortcake can be eaten anytime of day! They are essentially just biscuits topped with fruit, so they totally count as breakfast! Plus, there is simply no parallel to homemade whipped cream. Berry butter is SO easy to make and is delicious atop a fresh stack of pancakes! Or waffles, or french toast, or regular toast. You really can't go wrong here. Didn't think Sangria could get any better? It's summer time, so throw in some strawberry and homemade rhubarb syrup! It's sweet, a little tangy, and so refreshing! Use fresh strawberries and local rhubarb when you can find it! Strawberries and Nutella were meant to be. They are perfect inside these warm and delicate crepes. Summertime is the perfect excuse to indulge in these buttery angel wings.